Parking permit systems are designed to help residents, but some systems are being dodged or cheated. News4 I-Team reports. The Washington, D.C., region’s residential permit parking system is being widely ignored or cheated, the News4 I-Team found. Citation records obtained under the Freedom of Information Act revealed 40,000 violations of residential permit parking restrictions over the past two years. Residential permit parking is a system employed in a growing number of local communities to prevent commuters from clogging residential streets with their vehicles. The permit system restricts parking on neighborhood roads to homeowners or their visitors. “Without permit parking, residential areas would be overrun by parkers who don’t live in that community,” Prince George’s County Revenue Authority Community Relations Director Dianne Harris said. Student Parking Spills Onto Streets, Driveways in Md. Neighborhood groups must submit a petition to add permit parking in their community. A fast rising number are doing so, including more than 30 in Montgomery County. The permitting system is particularly important in communities near high schools and WMATA Metro stations, where parking is coveted during daytime hours. The permitting system requires drivers obtain a cardboard placard – or electronically-submitted placard – before parking curbside on restricted streets. But the systems are increasingly cheated or dodged, according to a review by the I-Team. The I-Team obtained logs of violations from five major communities: D.C., Fairfax County, Arlington, Montgomery County and Prince George’s County. Between January 2015 and December 2016, parking enforcement teams issued more than 40,000 citations for violations of the residential parking permit system. In most communities, violations increased noticeably between 2015 and 2016. In Prince George’s County, revenue authority officers issued 2,832 citations in 2016, up from 886 in 2015. In Montgomery County, transportation officials said violators are ignoring posted “no parking” signs in residential permit areas. County Parking Management Division Chief Jose Thommana said there is also a set of black market permit placards bought and sold to circumvent the permit parking restrictions. Montgomery County recently instituted an electronic permit system, in which they replaced cardboard placards with an electronic permitting system operated through an internet portal. County officials said they did so in part to combat the trafficking of counterfeit placards. 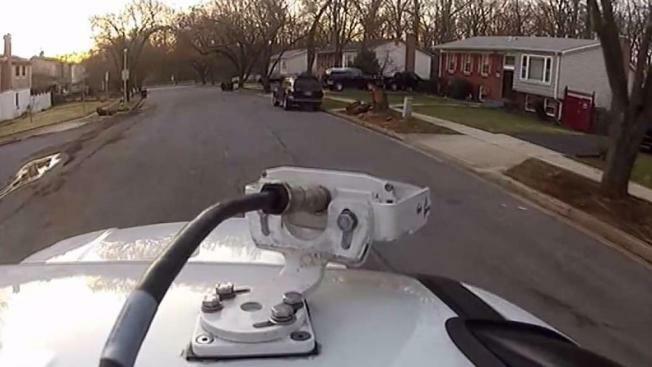 Prince George’s and Montgomery counties use inspectors equipped with license plate readers to patrol neighborhood streets for possible violators. Prince George’s County uses officers from its county revenue authority. Montgomery County hires contractors for the work.